Astro Lighting Atelier single light desk lamp features a circular design base in black finish. 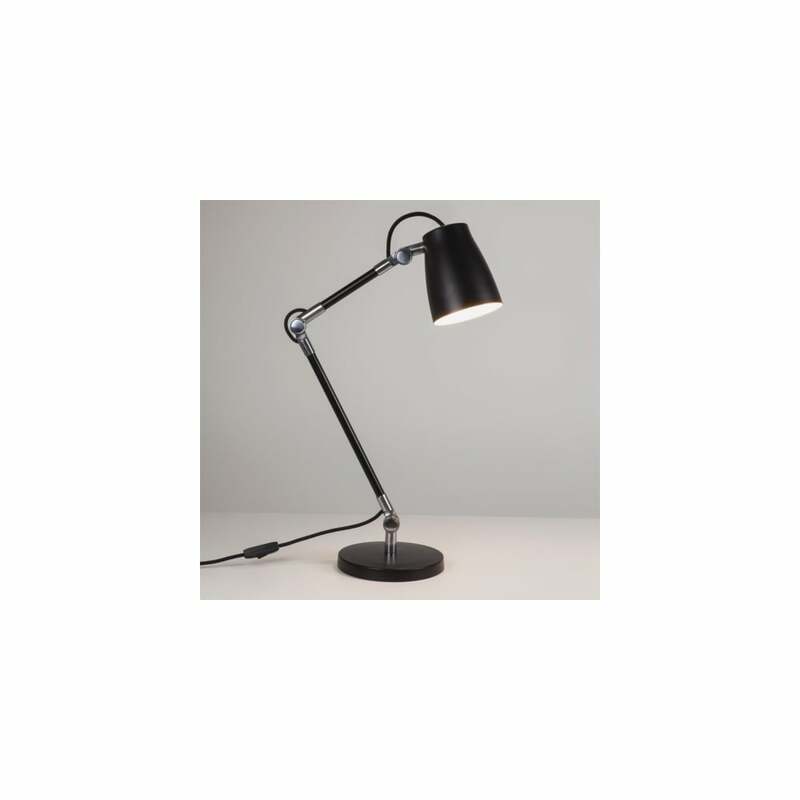 This modern designed desk lamp is both stylish and practical, as the adjustable arm and lamp head allows you to direct light where required, making this a perfect choice for bedtime reading. The product code for this desk lamp base is 4564. Operated by an inline switch located on the cable. Also available in polished aluminium or white finish both of which can be viewed on our website along with other styles of fittings in the Atelier range.